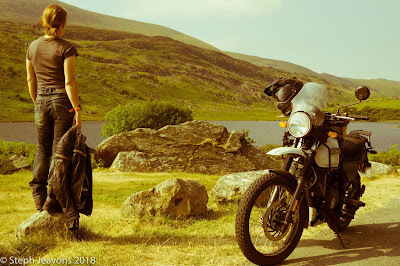 Enter the all new Royal Enfield Himalayan. First brought into production in India two years ago, it is now sweeping the adventure bike market globally. So is it the same engine with an 'adventure' body? Surprisingly no! 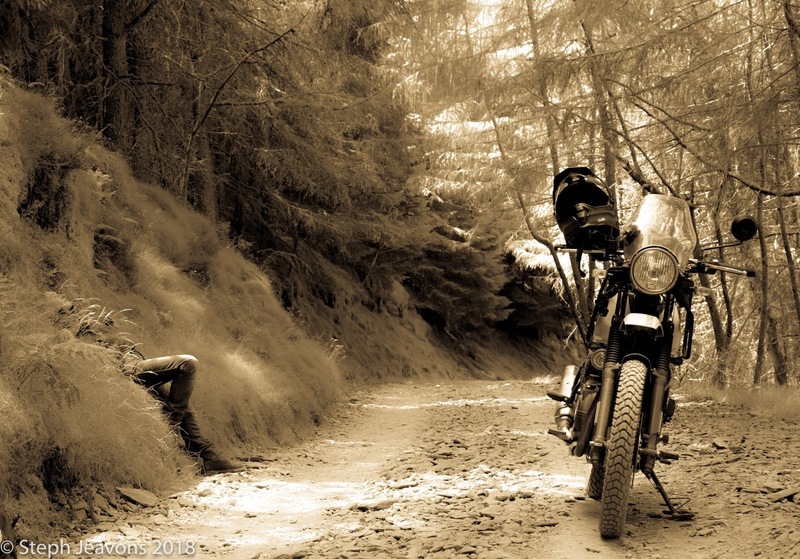 Unlike every other manufacturer who has brought out an adventure bike, Enfield have started from scratch! Impressive - but was it worth the effort? No doubt you will have received many conflicting opinions on this bike already! One man's meat is another man's poison right? Being a woman, I wouldn't know about that - but here's my thoughts on the bike! I have to say, I liked it, then I didn't like it, and now...well I like it again! A woman's prerogative I believe! I mean its fuel injected power is nothing to write home about, with a mere 24.5bhp (411cc) from a single-cylinder engine. What would you expect? But this is not a high-end performance bike with a high-end price tag to match. 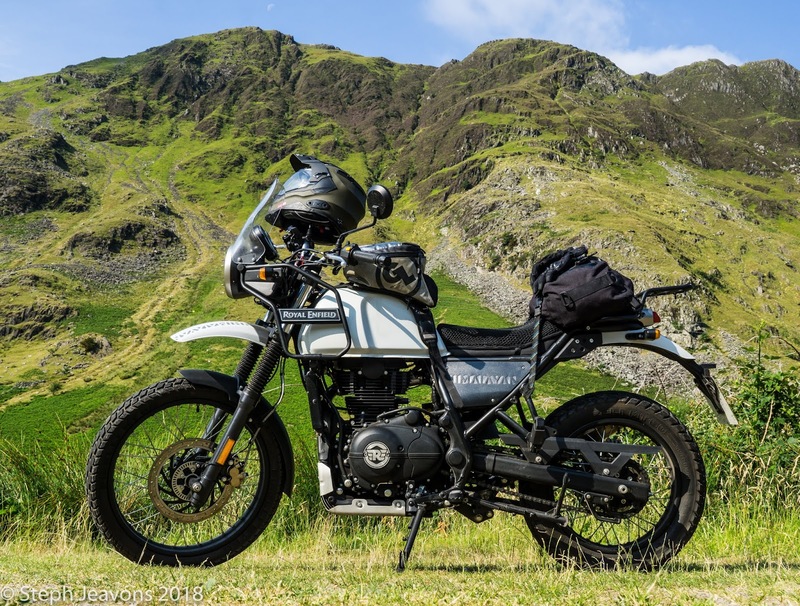 At just £4,199 the Himalayan is aimed squarely at that area of the market where thousands of us are lurking, and looking for a nice little all-rounder that doesn't cost the earth! Something for the weekend Sir? Don't mind if I do. It's for bikers who don't take themselves too seriously, and in the words of the lovely Cindy Lauper, '...just wanna have fun'. So I guess the big question is, after just over 1000 miles of road and gentle trails - did I have fun? After riding 'Rhonda', the Honda CRF250L for 75,000 miles around the world, it was a strange transition I must admit - but when doesn't it feel a bit strange at first? Getting on any new bike always feels a bit awkward for the first few miles doesn't it? Everything is just ever so slightly different, and despite their obvious similarities, Honda and Enfield have brought two very different beasts to the 'small adventure bike' table. The Enfield seat height is refreshingly low for us shorties at just 800mm, compared to the CRF250L at 875mm. For this though, you lose about the same in ground clearance. This one is all down to priorities. If you are wanting to potter around on mostly road and gentle trails, then who cares about ground clearance? I would say there is ample for the majority of green lanes - just don't try entering any log-jumping, deeply-rutted enduro's on it! But you know all this right? 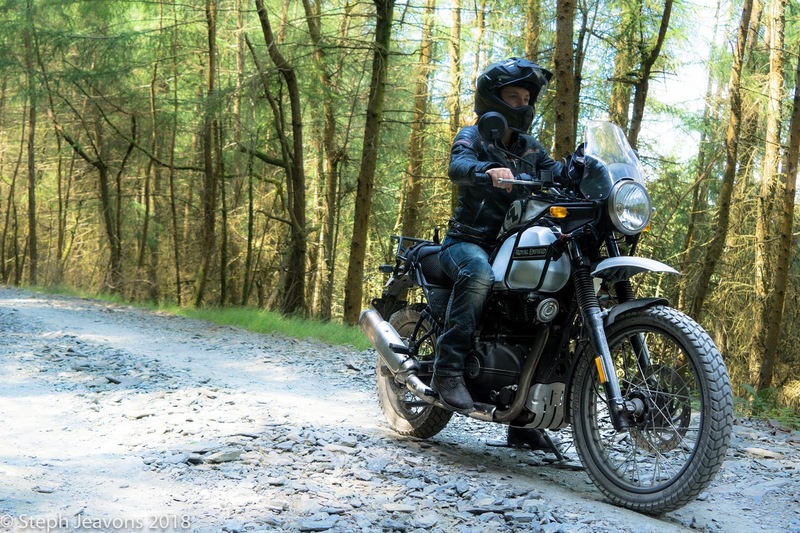 There are hundreds of reviews out there about the Enfield Himalayan with specs coming out of your ears! The resounding majority opinion seems to be that it's not a bad little bike for the price tag. It looks pretty cool, if you like that kind of thing, and it will take you most places you want to go - just not very fast! So how did it make me FEEEEEEEEL? Enfield's are well known for taking a while to run in. The Himalayan is no different. Once it hit 2,000 miles, I felt a marked improvement in its performance, and now she sits quite happily on the motorway at 80mph (fast enough for most). I was not impressed with the brakes though, so a potter is best in my opinion - and pottering it does very well. I have thoroughly enjoyed riding the Himalayan around the back roads, and along the forestry tracks of Wales. The sunshine this last few weeks has helped immensely of course, but I was pleasantly surprised at how well it handles on all surfaces as well. The beauty of this bike is that you can potter around comfortably and cheaply (you'll get about 200 miles from its 15 litre tank) and go pretty much anywhere you like on it. It really is an adventure bike. Just as happy in the forests of Wales, or the mountain tracks of the Himalayas as it is popping you into town and back for your groceries. As with the height, the weight is not a burden and it's general size is big enough without being intimidating. And yes - it made me smile! Test ride one for yourself. CLICK HERE to find a dealer near you. If you are a woman and a biker and you fancy riding a Royal Enfield Himalayan up to Everest Base Camp next year - Check out Girls on Top! 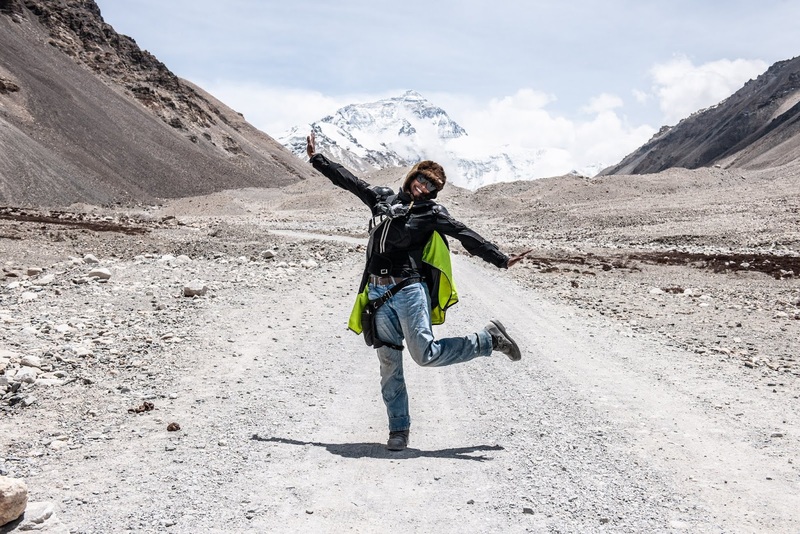 Join me on an world first expedition to the roof of the world! morning and thank you. I am a 5'11 male and I am currently looking at a CRF250L and the Himalayan. I am looking to complete the Trans-American Trail. Please help me decide between the two bikes. hi, Dave, I bought my CRF50L in May 2018. I'm male, 6'1", and can reach the ground on the Honda except sometimes, which I don't like, on sloping ground (even in town) or rough terrain, . 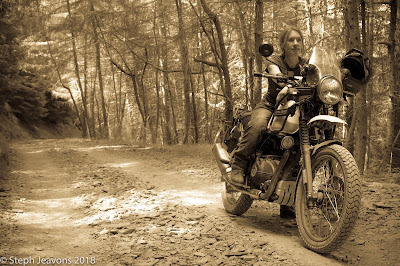 I bought my Himalayan in Feb 2019 and am loving it. It's a nice low c.o.g. and seat height, the roadholding/handling is great: it's a mule and the Honda is a pony. On the roads and trails I prefer the Himalayan. If I did more real off-road stuff I don't doubt the Honda would be more agile and able, but it's really the nature of the engine that makes me prefer the Enfield, torque-y as opposed to rev-y.